Guest writer Irina Budrina looks at certain ethical issues when it comes to business, from the bribe – known in Romania as Spaga – to ethical issues in political affairs. International companies are confronted with a variety of decisions that create ethical dilemmas for the decision makers. “Right- wrong”,"just-unjust” derive their meaning and true value from the attitudes of a given culture. Some ethical standards are culture-specific, and one should not be surprised to find that an act that is considered quite ethical in one culture may be looked upon with disregard in another. International businesses may be faced with a difficult situation of being involved in corruption without even knowing it sometimes. In some cultures it is acceptable to offer bribes to get a certain business transaction done. Bribery may come in many forms such as money, flowers, gifts, favors and entertainment. Giving any sort of bribe is illegal and unethical in the United States and the UK. However, in some countries there is no other way of getting any business done other than offering bribes. Also, giving a gift in appreciation to someone is considered as a bribe in United States, but it is a normal act in Romania, and a business expense which can be written off in Germany or part of a prime cost in Japan. 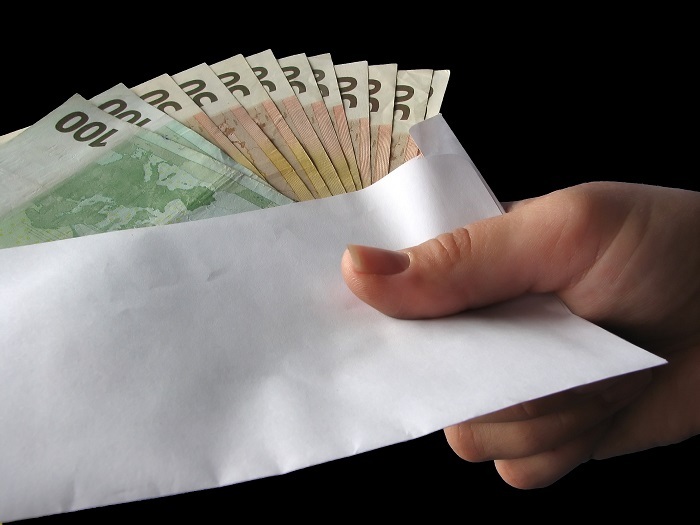 In Romania, bribery is by law illegal. The bribe goes by different names in different countries. It is called mordida in Mexico, dash in South Africa, baksheesh for a tip or gratuity in India, Pakistan and in the Middle East, schimengeld for grease money in Germany, and bastarella (a little envelope) in Italy. In Romania it is known as șpaga. Many business people believe that bribes are necessary costs of doing business in another country. This may be the hardest ethical dilemma you have to face. Although there is a law in the US and in the UK called Foreign Corrupt Practices Act which prevents paying bribes to foreign governments and businesses, it is not certain that the law is strictly followed in other countries. Take the following example: The Romanian state – owned company Oil Terminal, the largest oil products transport operator in Constanta harbor, spent tens of thousands of euros on jewelry, vintage wines, women’s handbags and a gold watch between 2009 and 2011 (revealed by a recent Economy Ministry audit). Oil Terminal spent some EUR 6,000 on jewelry, EUR 1,900 for a gold watch, EUR 2,600 on perfumes, some EUR 2,400 on women’s handbags, EUR 5,300 on vintage wines. An additional unjustified expenditure of almost EUR 200,000 paid in a contract with a law firm was also discovered during the audit at Oil Terminal. And Oil terminal is not alone. It is uncertain whether these expenses were simply bribes, or whether the management made personal purchases from the company's money, which is another ethical dilemma in itself. Which one do you think was at play in this case? This is an accepted practice in the host country. Tax laws of the country encourage bribery. It can be written off as a business expense. Government control over business activities. Government officials are poorly paid and use bribery to supplement salaries. Bureaucratic delays can be costly for business. Pressure from politicians to make contributions to political parties or causes. In many countries, political officials are deeply involved in commercial businesses. You may not even be able to work there without knowing someone in the government. In a country where the government is heavily corrupted, the officials expect to be befriended and bribed. International businesses could gain advantages by offering bribes to government officials. However, it puts other companies at a disadvantage and is an unfair practice of business. When working in another country, it might be easy to forget your moral standards and fall into the greed of making profit without any limitations. Sometimes if people aren't held responsible for their actions, it could make them become careless about other countries' resources, environment and people. Polluting the country's environment, not following standard employment practices, and evading taxes are all unethical and illegal. However, when everyone else around you is doing all these illegal activities you feel like you will never be held accountable for your actions if you also commit these acts. I will give you yet another local example. Take the campaign against the cyanide mining at Roșia Montană, which was one of the largest campaigns over a non-political cause in the last 20 years in Romania. Organizations spoke out against the project, from Greenpeace to the Romanian Academy. However, in late 2009, the Romanian government announced that starting the project was a priority and signed a deal with the Romanian-Australian businessman Frank Timiş. The mining license for Roşia Montană was transferred to the Roşia Montană Gold Corporation (RMGC). RMGC is owned 80 percent by Timiş' Toronto-listed company Gabriel Resources, 19.3 percent by the Romanian government via Minvest, and 0.7 percent by local businessmen. RMGC plan to replace the old workings with a new operation according to EU standards, which would be the largest opencast gold mine in Europe. The controversy surrounding this project brought Roşia Montană to the world's attention, as the project never started. The Romanian Government never gave it all the needed approvals, while the Rosia Montana Gold Corporation advertised heavily in the media to gain public support. What do you think about this example, do you think it involves business ethics or the lack of? What we must realize is that what may be deemed ethical in our own country is not necessarily deemed as ethical in another country. This often makes conducting global business quite hard. At one time, because we did not have the Internet, it was more of a question of not accidentally disrespecting on another's customs and traditions. However, today, there is much more at stake. You must also not trample all over other businesses - or countries - ethical code, while you remain true to your own businesses or country's ethical code. Top management must be committed to the company’s ethics program. Top management involvement is essential! A written company code that clearly communicates management’s expectations must be developed. The code must be explicit in stating management’s intent. Provide an organizational identity to the ethics program. There should be strong organizational support for a company’s ethics program (for example, a high-level ethics committee at the board of directors level as well as at different organizational levels). A formal program must be in place to implement the ethics code. Every employee must be made to go through a formal training program that teaches employees the ethical code of the company. Training in ethics must be done not only by intercultural consultants but also by the line managers as role models. Each line manager must be aware of his /her own responsibilities in creating a culture of ethical norms that will be strictly adhered to. Strict enforcement of codes is essential. Those who violate the company code ought to be punished. Actions speaks louder than words. It is not what a company code or what a company’s top management and line managers say but what they actually do in their decisions and actions on behalf of the company that counts. What other examples of lack of business ethics in Romania can you give? Why do you think they occurred, was it caused by a cultural difference? We look forward to your comments below. 3. Jed A.Reay, Global Business and Ethics.